Winter is here and the slopes are buzzing with winter spirit and rosy cheeks. Epic snowstorm or not, a great day in the mountains begins with the right gear. While your snow pants and jacket, gloves and additional equipment are key, knowing how to choose the right goggles can make or break your day. We can all agree that the mirrored, black tinted lenses may look ultra badass but sadly, they aren’t ideal for all weather conditions. 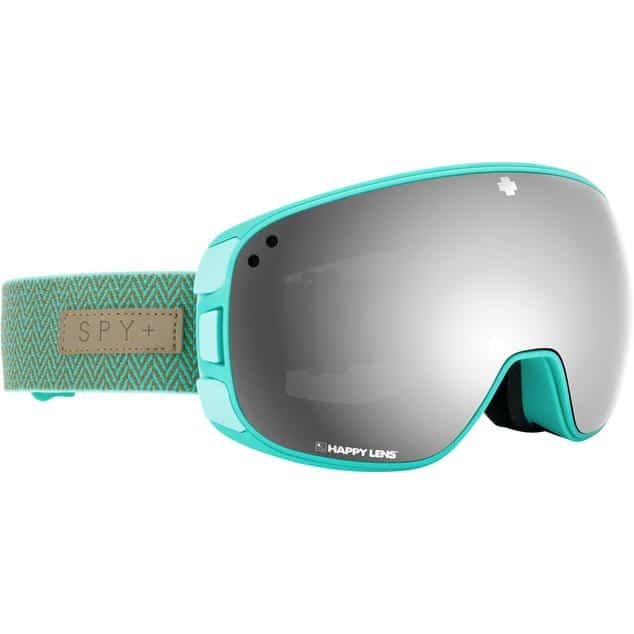 When it comes to goggles, it is important to shop for comfort and functionality as opposed to style because being able to see your line while you’re dropping in is far more important than “hater-shades“. With an array of goggles to choose from, it can be hard to know which one is right for you. 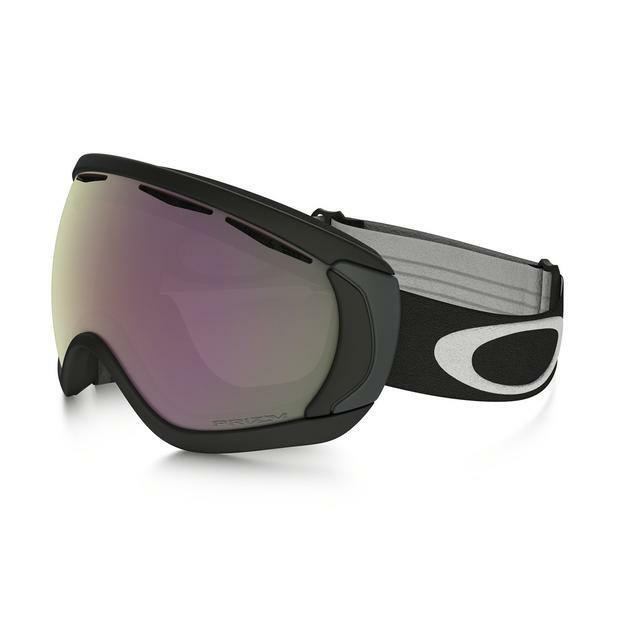 At Altitude Sports, we carry a variety of goggles from top brands including Oakley, Anon, Smith Optics, Spy and more. Each brand has their revolutionizing lens technology although when it comes to lens tint and ideal conditions, the results will always be the same – darker lenses are for brighter conditions whereas lighter lenses are for overcast, dimmer days. 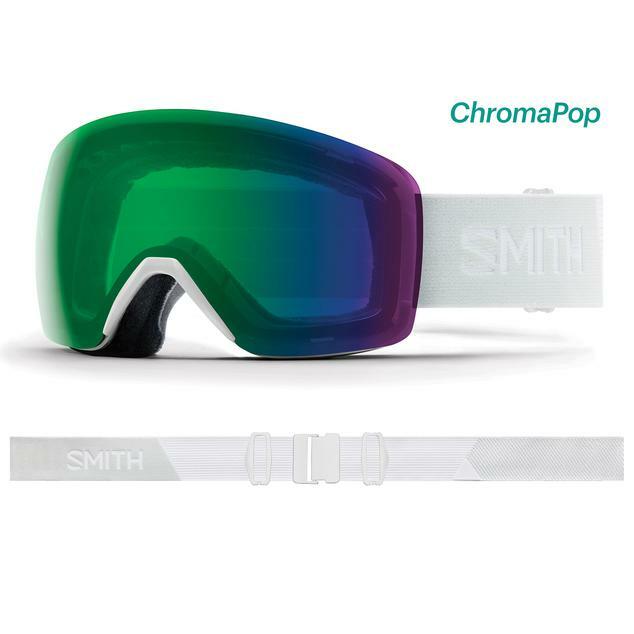 The first step of goggle shopping is selecting a goggle with a lens that is appropriate for the conditions you will be experiencing. While lens tint is important, the VLT percentage is the key. This stands for Visible Light Transfer and measures the amount of light that is let through the lens. Darker lenses will have a lower VLT which is why they are meant for bluebird days. Clear lenses or yellow lenses, on the other hand, have a higher VLT and will let in more light so even on the gloomiest days, you can still spot your line and shred it safely. If your local hill often has overcast and flat light conditions, you want to opt for a lighter lens with a higher VLT percentage. It’s no surprise that conditions change, so having a few backup lenses for those sunny days is ideal. Most goggles will come with a spare lens but for those that don’t, spare lenses can be purchased separately. When it comes to goggle lenses, there are three categories. Each will have a VLT range which signifies the conditions they are best used for. 1.Bluebird Tints (Sunny Weather) → 6-29% VLT: These goggles have a higher VLT which blocks 100% of harmful UV rays from affecting your eyes. These goggles will also provide maximum protection against glare and ensure you can see comfortably and safely on the sunniest days. 2. Partly Cloudy Tints → 30-54% VLT: These are the most common lens types on the market due to the fact that they are capable of dealing with varying light conditions. 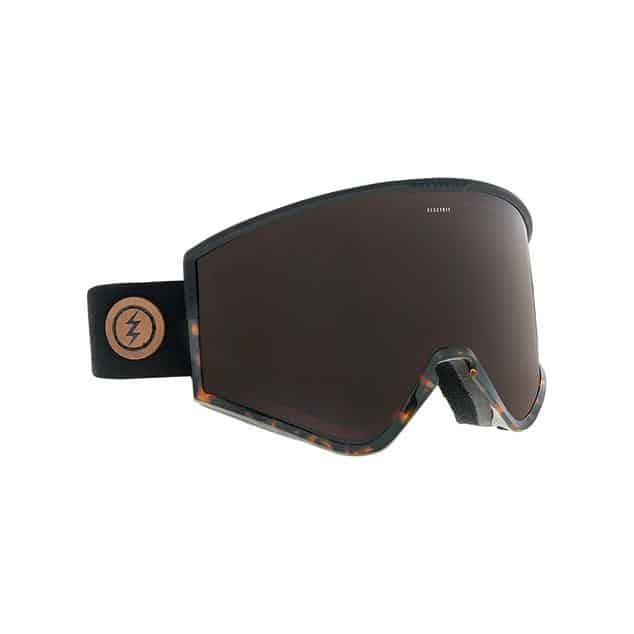 With a pair of goggles from this category, you have excellent vision in both sunny and cloudy conditions and can even still see once the afternoon shadows start hitting the slopes. 3. Greybird Tints (Snow & Fog) → 55-85% VLT: Most often these lenses are clear or are very close to being clear and will have a higher VLT. 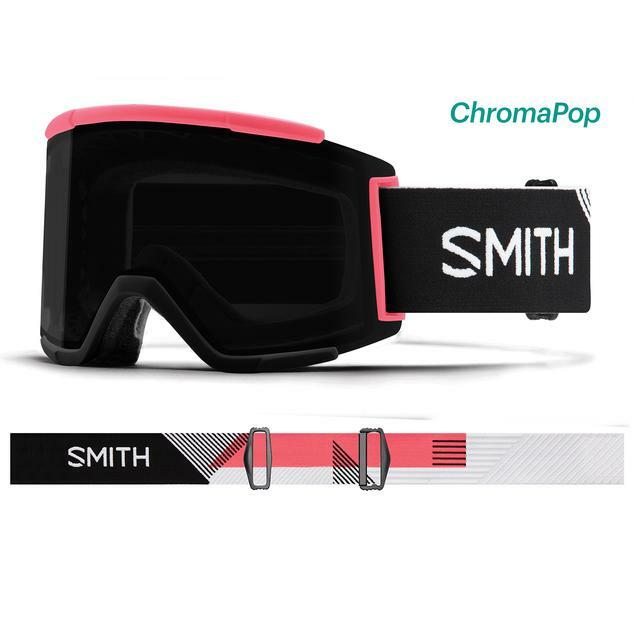 This is to offer a perfectly clear view when visibility is low so you can shred safely while the snow is falling heavily or get in a few late night turns after the sun has set. Each brand will have their own collection of lenses and lens names but as mentioned before, the lighter the lens, the gloomier the conditions and vice versa. If ever you are still unsure of which lens is the right choice for you, most brands like Oakley, Anon and Smith Optics will have a section of their website dedicated to their lenses and lens selection. Once you’ve selected which lens tint is right for you, you can choose the lens shape. There are two main shapes you’ll see which are spherical lenses and cylindrical lenses. Spherical lenses will curve across your eyes and face both vertically and horizontally which maximizes your peripheral vision. This particular lens will also offer a less distorted view and less glare which is why they are often slightly more expensive. If you like a larger goggle lens and want the best vision you can have on the mountain, a spherical lens is perfect for you. Cylindrical (flat) lenses curve horizontally from left to right and are vertically flat which is why they are often times called flat lenses. 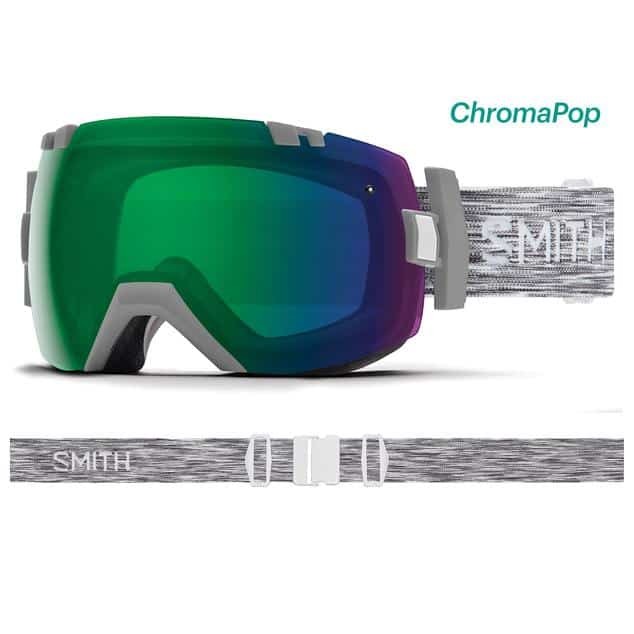 For those looking for a lower price point or may spend less time on the slopes, a goggle with a cylindrical lens is the right option for you. They get the job done with minor quirks. The flatness of the lens may cause more glare depending on the conditions and they will have a slightly reduced peripheral vision compared to the spherical lenses. If you spend countless hours on the slopes each season, spending a few extra dollars on a higher-end pair of goggles will be worth it in the long run. Do You Need Interchangeable Goggle Lenses? The answer is no, not necessarily although it certainly does make life easier and if you’re on the slopes almost every weekend, it’s worth having. Interchangeable lenses are handy for the fact that you can have multiple lenses for different conditions and can simply swap amongst them depending on your needs for that day. This saves you having a collection of goggles taking up space in your gear room and allows you to have one or two favourite frames that you can work with. Most brands will sell their goggles with a spare lens but for those that don’t as mentioned earlier, additional lenses can be purchased separately. Some brands such as Anon have made changing lenses as easy as changing your socks. Anon uses their Magna-Tech® Quick Lens Change Technology which utilizes 18 rare earth magnets allowing you to easily remove your lens without needing to take off your goggles. With a quick snap, the new lens is secured and you’re ready to hit the slopes. I know what you’re thinking, but there’s no need to worry about your lens coming loose during a tomahawk, these magnets work hard and the lens is impressively secured. Interested in testing just how quick the Magna-Tech® Quick Lens Change Technology is? You may want to test out the Anon M3 goggle. Sometimes the price tag on a pair of goggles can seem bewildering but when you break down the goggle and all the technology behind it, it becomes more clear. Aside from the variety of goggle tints and the different shapes, there is a lot of technology behind each pair – UV protection, lens technology and anti-fogging coatings only name a few. Almost every pair of goggles on the market today will offer 100% UV protection no matter what the price tag is. The higher the altitude, the higher the intensity of UV rays so choosing the correct lens for the conditions and terrain you are traveling in is crucial for eye health and overall enjoyment. Mirrored lenses are treated with a reflective coating which reflects light resulting in less glare and increased visual clarity during sunny and bright conditions. Polarized lenses, on the other hand, are slightly more effective. A polarized lens will cut glare more effectively than a mirrored lens resulting in better contrast and definition and overall better clarity and vision. 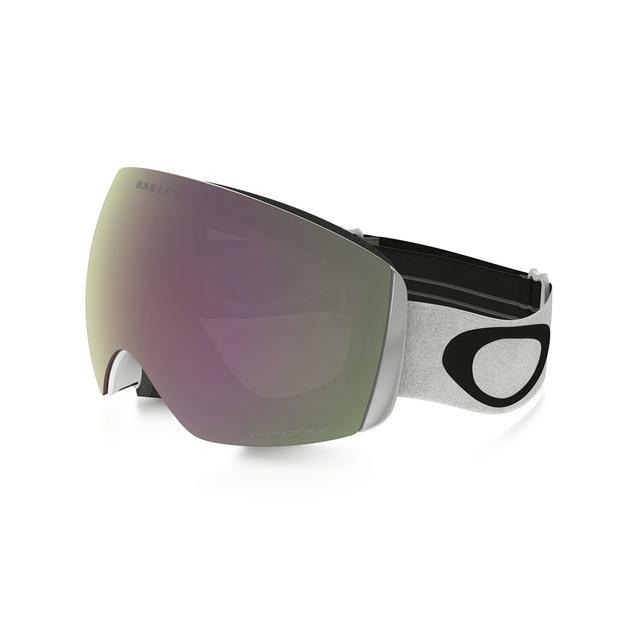 When given the choice between the two, polarized lenses are the recommended lens for snow sports. 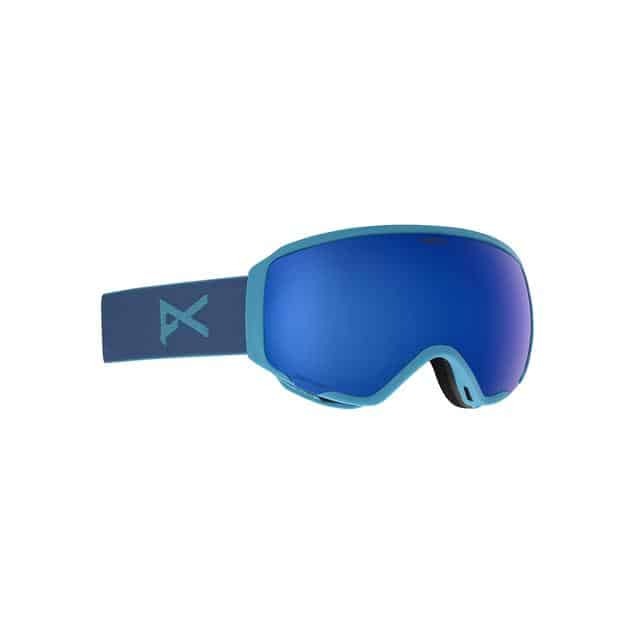 By reducing the glare, they are reducing eye fatigue and strain so you can stay on the slopes longer. Whether we’re talking about glasses or goggles, no one likes a fogged up lens, especially on the mountain. Single lenses are simply not designed for life in the mountains but double lenses are. Double lenses are commonly found in new ski and snowboard goggles because of the thermal layer that is created which reduces fog considerably. Add an anti-fog coating and you’ve got the perfect product. Most goggles nowadays will have an anti-fog coating (hydrophilic chemical treatment) on the inside of the lens but improper goggle care can disrupt this coating. Make sure to always follow the proper goggle care methods and avoid wiping the inside of your lenses. As with any piece of sporting equipment, as products evolve so do the technologies and features. 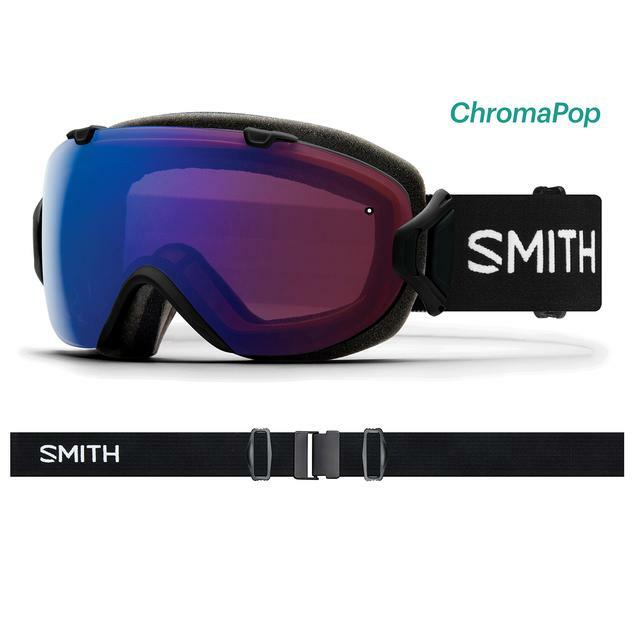 Photochromic lenses are becoming increasingly popular and are often found in Smith Optics goggles – ChromaPop lenses. These particular lenses will automatically adjust when exposed to stronger or weaker UV light. Stronger UV like exposure will make the lenses darken while weaker UV light exposure will make the lenses lighten. 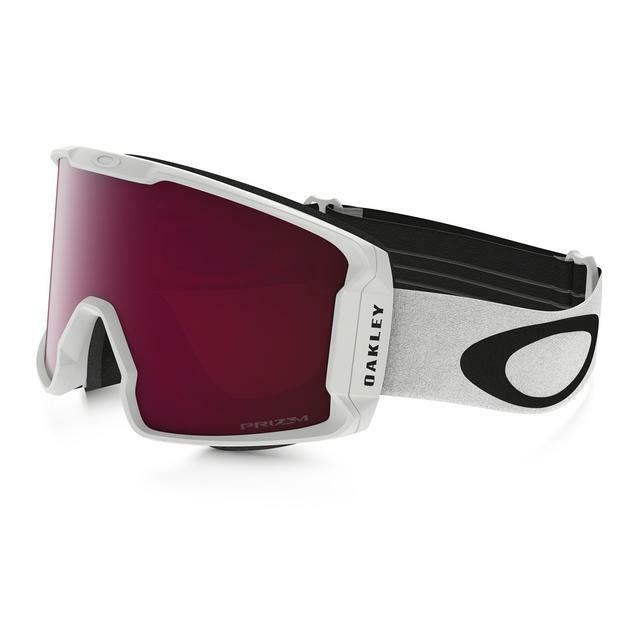 This lens technology is convenient for changing conditions on the slopes and are often very versatile goggles. The only downside is that the adjustment does not happen instantly and it may take a minute or two for the lens to fully adjust to the changing light. 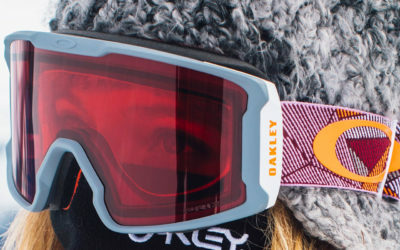 Oakley has also dipped their toes into new lens technologies and their Prizm® lens is showcased in many models in their goggle fleet. Like Photochromic lenses, Prizm® lens technology also adapts to changing light conditions although these lenses will emphasize colours where the eye is the most sensitive to details. This then enhances the performance and safety of the wearer as fine details and obstructions in the terrain become more visible. XL, frameless, OTG, when it comes to goggle frames and sizes, finding a pair that fits comfortably with your helmet and your head is a must. Like eyeglasses, there are a variety of frame styles to choose from which can make the shopping mission harder but not impossible. Start by selecting a few goggle styles which you like the most and try them on to make sure they fit your face. A goggle that sits right at the corner of your eye is too small and will impede your visibility. You want room for the width of at least one finger at the corner of your eye – keep in mind that too much space probably means the goggles are too large for your face. Most adults can easily wear a variety of goggle sizes although a general guideline is if you wear a small helmet, you’ll most likely be best suited to a small goggle frame and vice versa for a large helmet. Next you want to ensure the goggle fits on your face properly. A goggle that is too large will sit too low on your face and may make it harder to breather. 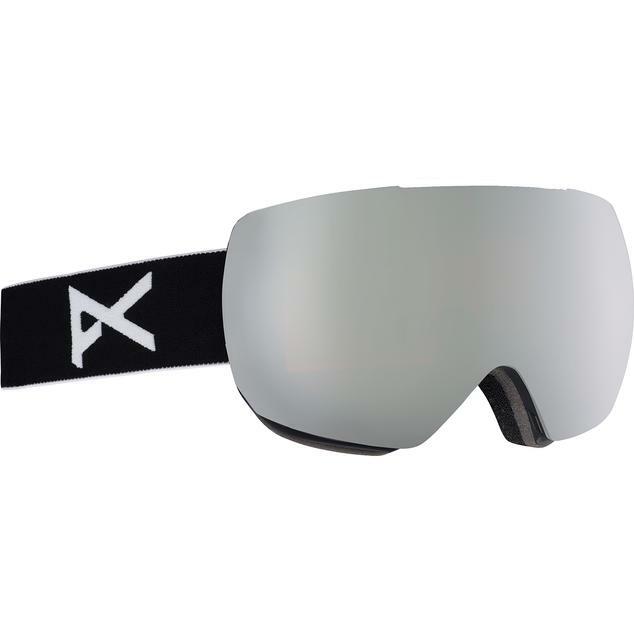 Some goggle styles will have an XL look which is great for some but may not be suitable for everyone’s face. With the goggles on, you want to be able to breathe easily through your nose without any discomfort, pinching or pressure from the goggles. Once you’ve selected a goggle that is the correct size and fit for your face, adjust the strap to ensure a secure fit that is comfortable and secure although not so tight that you can feel like your face is in a vice. There will always be a layer of foam on the goggle frame which sits on your face and prevents the goggles from pinching you. This foam should follow the curvature of your face and be thick enough to provide a comfortable fit (overly thick foam can result in unwanted fogging). There should be no gaps and it should feel snug. If you are buying secondhand goggles, make sure you are buying a pair that has the foam intact still as the foam on older goggles may disintegrate over time (this as a sign that it’s time for a new pair). *If you are a dog owner, beware, dogs often enjoy chewing the foam on goggles so make sure you store your goggles in a safe place. Most goggle companies also produce helmets so it’s easy to find the perfect helmet goggle duo. If you are in the market for new goggles but your current helmet is still wearable, it’s best to try on your goggles with your helmet. 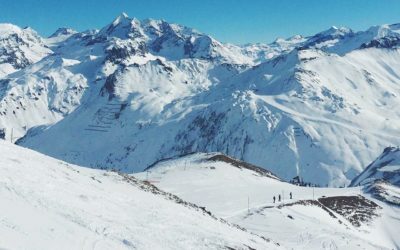 Some goggles are simply not compatible with certain helmet models so it’s important to ensure a comfortable fit so that your days on the slopes aren’t agonizing and long. How you wear your goggles will also affect the helmet compatibility. For those who wear their goggles under a helmet, be aware of any uncomfortable pressure points or awkward folds because these can become painful after too long. If you’re one of the folks who wear your goggle strap over your helmet, finding a helmet with a goggle strap clip to secure your goggles can be handy. Beware of the “gaper gap.” This is the gap that appears between the top of your goggles and your helmet which not only looks a little goofy, but also may lead to a brain freeze or silly tanline if you’re enjoying a bluebird day. You want your helmet to sit slightly above the frame of your goggles. Try to avoid having it sit directly on the frame of your goggles because this may push your goggles down or cause discomfort (it may also be a sign that your helmet is too large). When you’re working up a sweat on the hill, ventilation is essential for both your apparel and your goggles. For this reason, all goggles will have vents located in the goggle frame. The more vents, the better ventilated your goggles will be and the better the fog prevention. When you are trying on your goggles with your helmet, make sure the helmet is not obstructing these vents otherwise you may have some fogging. This also goes for your neck warmer or the collar of your jacket. Keeping the goggle vents free of obstructions is the key to fog-free goggles. Can You Wear Glasses Under Your Goggles? The answer is yes, but only with specific goggles. Not everyone is blessed with 20/20 vision and contacts can be finicky so finding a pair of goggles that you can wear of your glasses is a must for some. Most brands offer a few models that have a large enough frame to accommodate glasses underneath. While shopping, look for goggles with OTG (Over the Glass) in the name or description to ensure what you are looking at will, in fact, be suitable to wear with glasses. If you’re worried about fog, it is possible to treat the lenses on your glasses with an anti-fog treatment to help keep them clear while you are wearing your goggles. Below are three examples of goggles that are suitable to wear over a pair of glasses. There you have it, all you need to know for how to choose the right goggles to ensure your next day on the slopes is a good one. With more than 200 pairs of goggles from ten different brands, the hardest part will be choosing just one. If you are still unsure which model is best suited for your needs, our customer service agents are more than happy to help you out.